When canine companions struggle with asthma, their pet parents need the right tools to help them live their best life—like the Trudell Medical International AeroDawg Dog Asthma Aerosol Chamber. 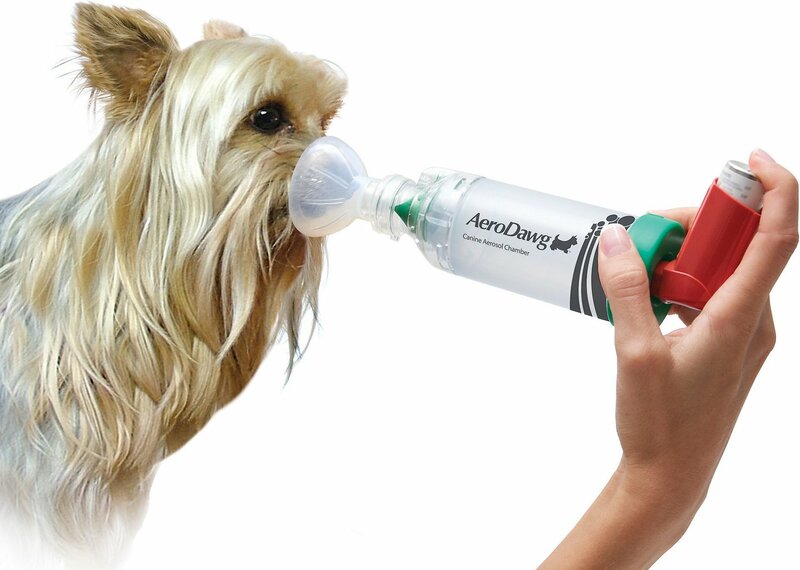 This easy-to-use, hand-held device delivers inhaled medications straight to your dog's lungs, for quick results and relief. 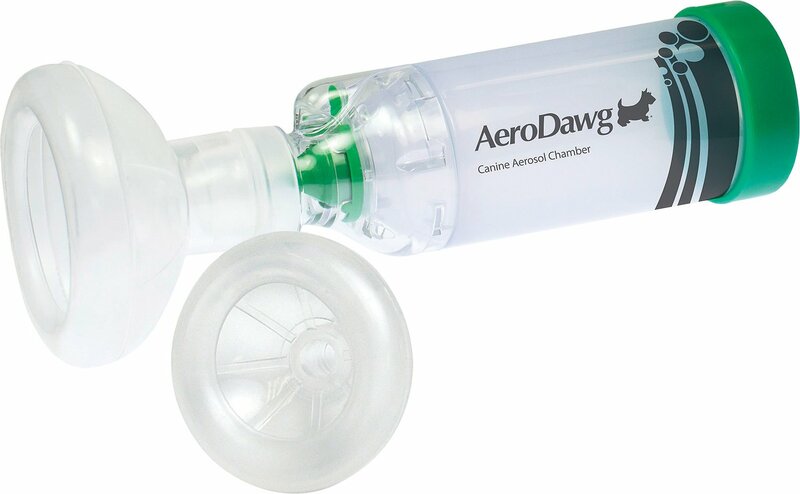 Simply snap the medication into the AeroDawg chamber and let your dog breathe normally through the device. 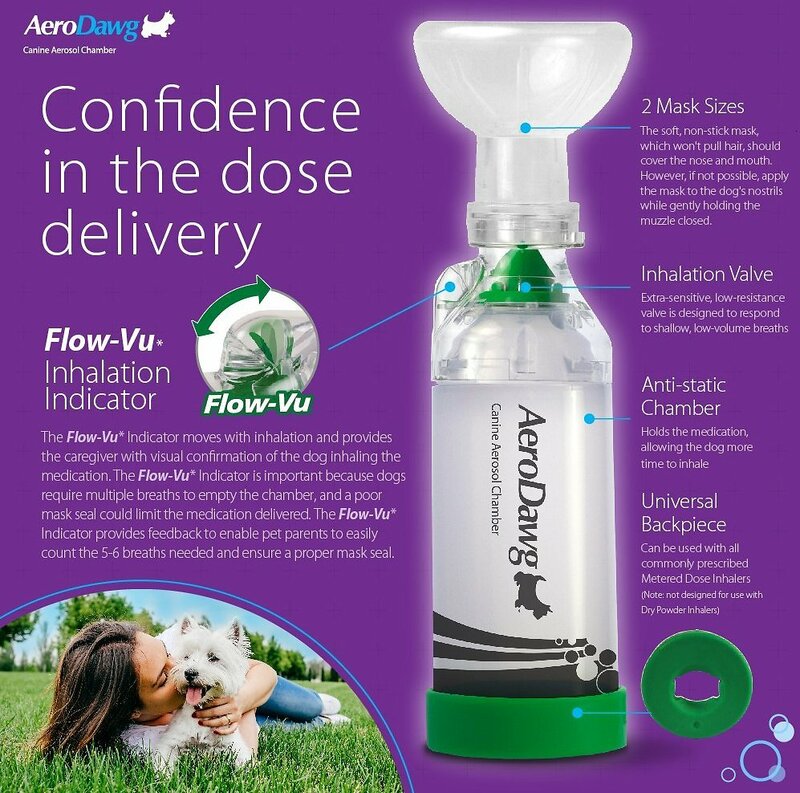 Keep your eyes on the Flow-Vu Indicator, as it will let you know that your pup is inhaling the medication. So, you know that she's getting the help she needs for her asthma, chronic bronchitis or allergies! This aerosol helps to administer medication prescribed by veterinarians to treat chronic bronchitis, allergic rhinitis and collapsed trachea. Simply snap the medication into the chamber—your dog just needs to breathe normally to get the help she needs! Unique Flow-Vu Indicator gives you the visual assurance that the medication is being inhaled, and the device is being used properly. Antistatic design means you don't need to worry about static cling—the medication won't stick, so it's easy for your pup to inhale. 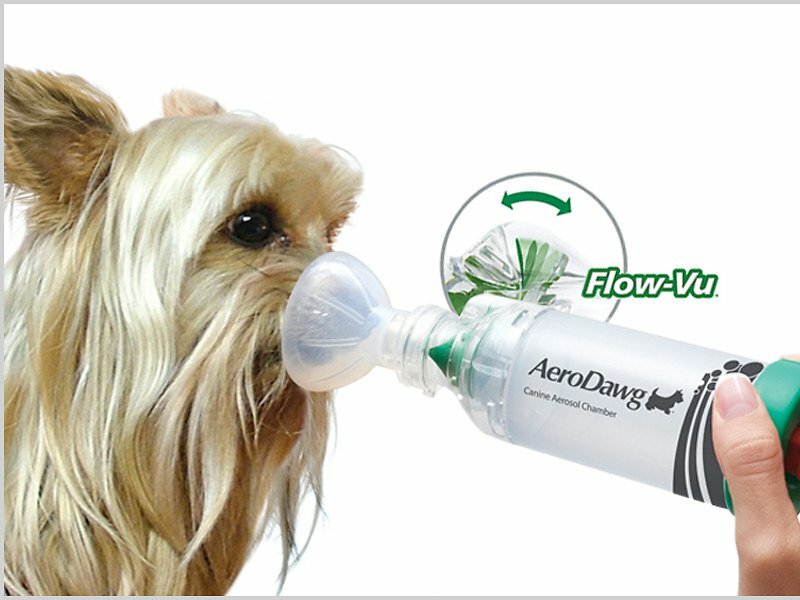 Special low-resistance valve is designed especially for companion animals, so it only releases the medication when your dog is ready. Shake inhaler and insert into back of chamber. Press the inhaler to release the medication. Gently apply the mask so that it covers the nose and mouth but not the eyes. Use the Flow-Vu Indicator to count 7 - 10 breaths. This device works perfectly. It came with a large and a small mouth/nose piece. We had been told that we needed a large but small works better for our dog. So Very happy that we got both. After about 4 days dog is now used to this and the medication is working well. Good service from Chewy. When my vet told me that my dog needed an inhaler for her cough, I was like “yeah, and how does that work?!??”. He told me to buy the aerodawg chamber. Chewy shipped the next day and it works perfect!!! This works really well. My dog is extremely fussy and I thought I would never be able to use this on him. At first, it was impossible--he would have no part of it and would growl and try to bite, but I got into the routine of giving a treat right afterwards and now he is pretty calm when I put this over his nose. Early on, I also found using a harness to restrain him while I use this was helpful. Now, it's not a problem at all. I would say be patient, and reward and he will eventually become accustomed to it! I had purchased another brand but it didn't let me know if my dog was inhaling properly. This is a quality product. Well made: Fits well, and it has a flap which lets me know how much and how many puffs he is inhaling. Came quickly. Our dog has chronic bronchitis and needs a breathing treatment every day. Works great but our dog didnt like it at first. Now its routine.